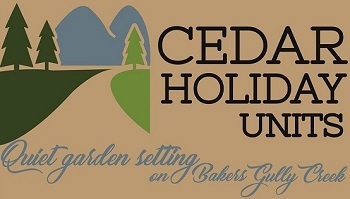 Cedar Holiday Units are a great place to stay when in Bright. They are located in a quiet secluded setting but still only a 5 minute stroll to the town center. There are 7 spacious units in total, one 3 bedroom unit, four 2 bedroom units and two 1 bedroom units. 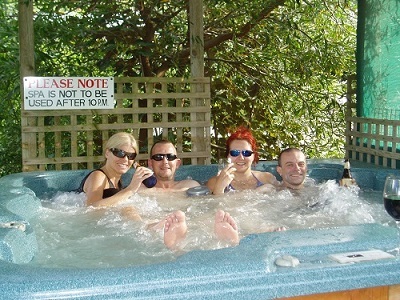 The units can be booked individually or multiple units can be booked to cater for groups. All the units are comfortable and well appointed. The three bedroom unit can sleep up to eight people, the two bedroom units can sleep up to seven people and the one bedroom units can sleep up to four people. 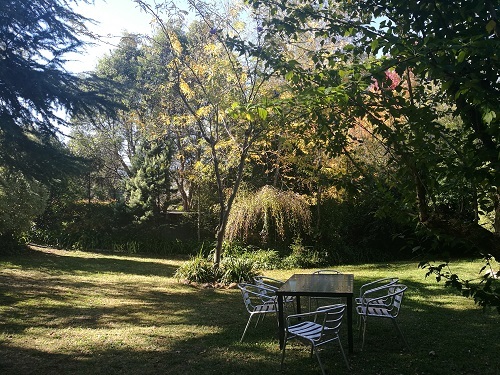 The units all have off-road parking and are surrounded by tranquil gardens. All the units are self-catering and have a well supplied kitchen. They are equipped with quiet reverse cycle air conditioning and heating. Each unit has a private verandah with an outdoor setting. Beds are fitted with electric blankets and doonas. 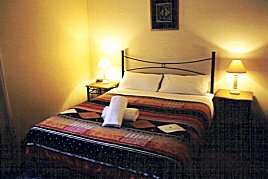 Linen, towels and toiletries are supplied. There is also a communal guest laundry. For full details of each individual unit please follow the online booking links for the units from the book page. 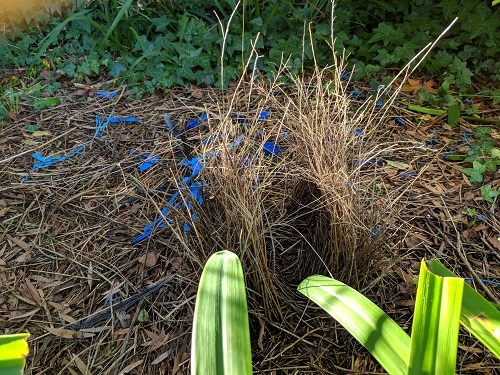 or see if you can find the bower our resident bower bird maintains. Fancy something a bit more active? Bright is a excellent location for cycling with options ranging from a gentle trip along the rail trail to one of the local wineries to long road cycles up and down the local mountains to all levels of mountain biking. There are also plenty of bush walking options nearby including at Mt Buffalo as well as skiing and snowboarding at the ski resorts of Mt Hotham and Falls Creek. If you are up for something a bit more adventurous why not go for a tandem paraglider flight from Mystic mountain. See our attractions page and bike and snow page for more ideas. If you are bringing your bikes don't worry. Units 1-5 have hallways with ample room for you to store your bikes. Please note - units 1 - 5 are two storey and have a spiral staircase with a widely spaced banister that a young child could fit through. Toddlers and young children will require supervision around the staircase.